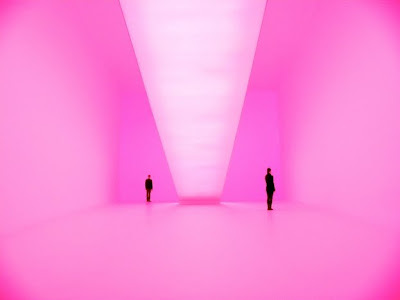 I've long been a fan of James Turrell. The guy has created a fantastic shrine to light and space in a volcanic crater in the desert of Arizona--what's not to like about a creative soul like that? Ever since I saw the Turrell skyscape/skyhole installation called "Meeting" on the second floor at P.S.1 Contemporary Art Center in Long Island City, NY, I have wanted my own Turrell. "Meeting" is an epiphany-inducing, site-specific installation, almost hidden on the second floor of the museum. You discover "Meeting" by opening an unmarked closed door and entering a room lined with a wooden, church-like bench. Above ones head, there is a concave-like hole in the ceiling, which, unexpectedly, naturally pulls your senses upward, revealing a gorgeous patch of sky. The sky, despite being framed, seems infinite. Inside the room, as with much of Turrell's work, time almost stops. His art creates a meeting of man's often-cluttered mind with the power of silent nature--moments and eternity combine. I've also been a fan of Duo-Gard, the makers of the cool light walls called Illumawall, ever since meeting some of the Duo-Gard reps in Chicago at Green Build 2007. 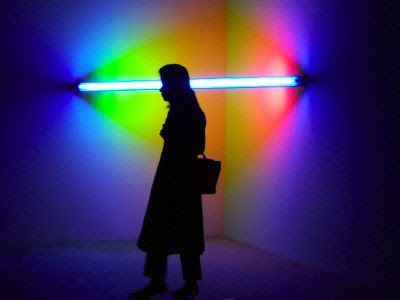 Illumawalls are kind of Turrell like--having the potential to create shifting moods and atmosphere, similar to what Turrell's site-specific light installations and light paintings can do. Albeit, Illumawalls are not so sublime unless you have a super fine artistic sense of how to install them and incorporate them into space and building design. However, the Dan Flavin in me lusted after the soothing Illumawalls of light and I imagined using them to create a glowing New York loft worthy of DIA Beacon. The Duo-Gard web site states: "Lumenatrix makes creating with light more functional, more decorative, more sustainable, more affordable for walls, ceilings, canopies, facades. Control the intensity to suit your space. Lumenatrix systems combine with Duo-Gard’s structural frames and translucent glazings to produce unique illuminating approaches. 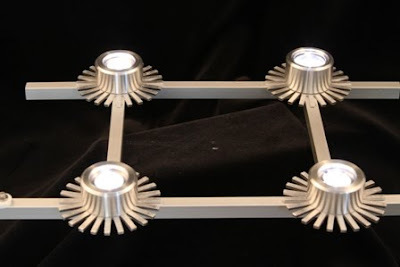 This structural LED lighting system has the flexibility to combine art, sculpture and performance in your designs. Lumenatrix configures for all types of standard illumination, indirect and backlighting." The idea of making light and space itself into art is the essence of environmentally conscious thinking: the embodiment of sustainable living. 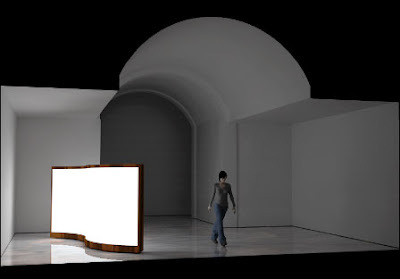 How much more natural and low impact a material could light and space be? Clever use of light in exterior and interior design, whether it be daylight, as with using skylights or Solar Tubes, or from man made LEDs, makes one feel in tune with one's surroundings. Similar to how plants get nourishment and grow with light, effective use of light inside and outside buildings and homes somehow feeds us and makes our spirits grow. 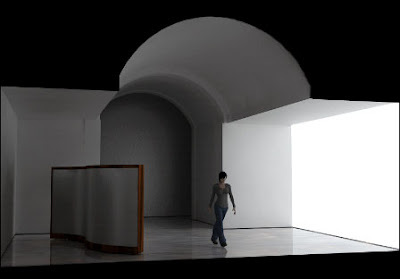 Like the way light and space interact inside well designed religious spaces or cathedrals, artistic use of light in homes and offices can make people feel more connected to themselves and their environment. Thoughtful interplay of light and space in design helps make humans feel they are an integral part of the earth and sky, not just intruders on the natural landscape. There's nothing more green than feeling part of nature, as opposed to being cut off from, or worse, dominating nature. The video below shows a glimpse of James Turrell's "Meeting" at P.S.1 in Long Island City, New York. One has to experience "Meeting" first hand to really appreciate how something as simple as framed natural skylight can transport you to the heaven that surrounds us, a heaven often overlooked or lost within our more mundane thoughts.